Friday 18th May 2018: Deadline for scholarship applications. Friday 8th June 2018: Notification of outcome to all applicants. Monday 18th June 2018: Deadline for MBA registration. You are advised to submit both applications as early as possible. Eligibility: Applications are invited from anyone that has permanent residence in Nigeria or Kenya. Satisfy the Global MBA entry requirements. Not hold any other postgraduate qualification (e.g. Master’s degree) considered equivalent to a UK Level 7 qualification. Current University of London students are not eligible for the scholarship. 3 for permanent residents of Nigeria. 2 for permanent residents of Kenya. The University of London scholarship is worth 40% of the course fee for the online Global MBA, which comprises six core modules, four optional modules and a Strategic Project. It does not cover module continuation fees, examination centre costs or any other costs not directly payable to the University (such as the purchase of additional materials or electronic equipment). Applicants must ensure they can to cover such costs from other financial sources. Step 1:Complete the scholarship application form (including two written statements, max. 500 words, outlining your achievements and how the MBA will impact your future). Step 2: Submit an application for the Global MBA. At the ‘Scholarships and Bursaries’ section, select the correct scholarship from the menu and attach/upload your completed scholarship form. Applicants will be informed of the outcome in a timely manner. 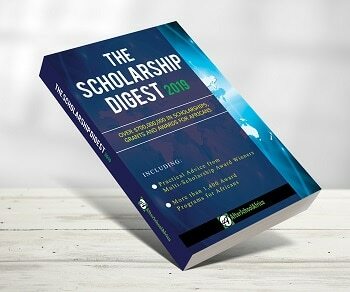 Individual feedback on scholarship applications is not provided.